When I first stepped onto the Rady School of Management campus last year, the innovation and entrepreneurship was obvious – I could feel and see it happening around me. I was very excited with the conversations I had with students and faculty, and after attending the class “Research for Marketing Decisions” with Professor Anand Bodapati, I decided to apply to the Master of Science in Business Analytics program. At the beginning of this year I was invited to join the third cohort of the MSBA program that started classes in August. I found it very demanding, but at the same time very fulfilling, because I could further develop my critical thinking skills and dive deeper into complex business issues. However, I felt that just attending classes and completing my assignments wouldn’t be enough to be successful in my career. In fact, I quickly realized that the Rady School and University of California, San Diego had so much to offer that I had to take advantage of every possible opportunity! On October 3, I attended StartR Demo Day. StartR is a free, six month-long acceleration program held twice a year on the Rady School’s campus, and at the conclusion of the program, StartR teams are given an opportunity to pitch to investors and industry experts during Demo Day. This was an amazing experience and I learned so much about different innovative business models! At the end I connected with each of the startups representatives and because of my networking ability, I was able to start working with Kabir Gambhir (MBA ’10), a Rady alum who launched a business called Bevea. Bevea, is a startup in the consumer and packaged goods industry that created a new drink made from the coffee fruit, also known as cascara. Unfortunately, cascara is often dumped into rivers or just left to rot in reaps which both brings harmful environmental impacts. Bevea is currently buying cascara from Costa Rica and producing a drink that is both healthy and delicious, while also preventing pollution and generating extra income to cascara farmers and their communities. Encouraged by our advisor Lada Rasochova, we decided to join the Triton Innovation Challenge — a business competition focused on fostering creativity and bringing commercially promising, environmentally focused technologies generated by the finest minds at UC San Diego to the spotlight. Supported through the generosity of The William and Kathryn Scripps Family Foundation Inc., the program is presented through a partnership between the Rady School of Management, Scripps Institution of Oceanography and the Jacobs School of Engineering. This was indeed a great challenge for me because I had to create a new pitch from scratch to properly address the competition’s criteria and connect to the audience to convey our company’s message. I had support from the organization because they provided us with the workshop “Art of the Pitch” led by Silvia Mah (MBA ’12), a successful Rady School alum and startup expert. Attending this workshop was a game-changer for me and Bevea. We progressed through the Triton Innovation Challenge, competing in the initial pitch competition and making our way through the semifinals. I represented Bevea at the finals, competing against five other extraordinary startups: The BioEnergy project, Ocean Motion Tech, FreeGen Technologies, Khepra and CleanCoast – The Water Quality Sticker. My pitch won first place for Bevea and was also able to capture the audience support for our sustainable cause. This was a unique moment and an extraordinary personal achievement for me! I can still barely believe that I could balance everything ranging from my personal life to work and academics in the last several weeks. I was proud to represent Bevea and the Rady School at this prestigious business competition. I am grateful for all the inspiration my fiancé, Cintia Kussuda, gave me and the support of my family and friends. Special thanks to Emily Dayton, Rady Assistant Director of Graduate Admissions, for encouraging me throughout the MSBA program and Kabir, Bevea CEO, for believing in my unlimited potential! Bevea is now one step closer to becoming a successful product enjoyed by the masses and I look forward to the next goals and challenges that I am going to achieve during the winter quarter. Renan Sallai Iwayama is an MSBA candidate at the Rady School of Management. 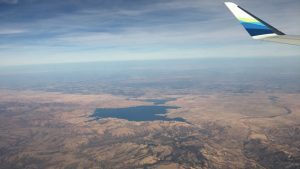 Early this October, students received the much-awaited email containing the list of companies that we would be visiting throughout the upcoming Bay Area Trek. 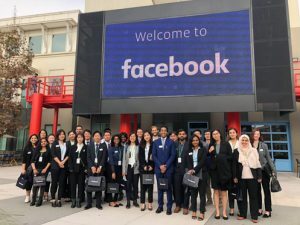 The Bay Area Trek is a two-day event organized by the Rady School of Management where students have the opportunity to visit companies located in the Bay Area. This time around, students could visit Kaiser Permanente, PwC, Charles Schwab, Black Rock, Google, Facebook, LinkedIn, Flex and Electronic Arts, among others. As a computer science student and an enthusiastic user of social media, I opted to visit Facebook and LinkedIn. I was very excited to have the opportunity to visit companies that have redefined the way people maintain personal and professional relationships in the world today. In the days leading up to the trip, I wanted to make sure I was fully prepared and ready to put my best foot forward. I spent some time reading up about Facebook and LinkedIn and how they became the organizations that they are today. Doing my research beforehand gave me a better idea about what I could expect, and made me feel more confident and helped me think of questions that I could ask when I met them in person. The first company for the day was Facebook. On my way there, I was able to experience first-hand the rush-hour traffic that the Bay Area is famous for. I was amazed to see how much the Facebook campus resembled a mini-city. They had their own shuttles, cycles and cabs for traveling within the campus. After checking in and having some breakfast, we sat down to listen to the team. They spoke about what working for Facebook was like, what their favorite things about the company are and how it is different from working at other organizations. They stressed how important the ‘learning mindset’ is, and how the abundance of resources enable them to produce their best work. This was followed by a campus tour where we got to see all the restaurants, the arcade and the store. After lunch, I walked down to the LinkedIn office where I met the rest of the group. First, we had a panel with prominent leaders for LinkedIn. They talked about what their roles in LinkedIn are, their career paths and the work that The Economic Graph was producing. This was followed by a Q&A session where they answered questions about career trajectories, work, how LinkedIn had changed since it was acquired by Microsoft and what the future meant for LinkedIn. This was followed by a campus tour where an employee talked about all the perks available to LinkedIn employees and how all employees were expected to spend a day each month investing in themselves and learning something new. After the company visits, our group headed to the Rady Alumni Mixer at Porterhouse in San Mateo. It was amazing interacting with our peers and Rady alumni, and to see how their journey had been since they graduated from Rady. In all, the Bay Area Trek was an amazing experience. It made me realize how much I missed traveling and meeting new people. It gave me a unique insight into what working at Facebook and LinkedIn was like, and what values drove the culture in these two organizations. It was also interesting to see their own products played such an integral role in forming relationships within the organization, and how it gave everybody a sense of belonging and community. In today’s climate, where there is harsh criticism about the role of social media in our lives, we often tend to forget why they were created in the first place – to help everybody feel a little less lonely. Manjushree Yethirajyam is an MSBA student at the Rady School of Management. With a background in computer science, she wants to use her skills to help organizations understand people better. The MBA may be the most well-known choice for people looking to enhance their career prospects in business. However, it’s far from the only option. In fact, many students are choosing specialized master’s degrees over the traditional MBA path. Here’s what you need to know about this increasingly popular option, along with one San Diego school helping students position themselves for career success with specialized master’s degrees. If you’re interested in gaining expertise in one particular aspect of business studies, a specialized master’s may be in your future. A recent US News & World Report article on the uptick in interest in specialized master’s degrees highlighted the allure of specialized master’s degrees for candidates who want to hone in on and deepen their knowledge of a specific subject. Consider the case of Swagata Chakraborty, a recent graduate from the Master of Science in Business Analytics program of the Rady School of Management at the University of California San Diego. After working for two years on Citi’s Global Decision Management team in India, he’d reached an impasse. “Towards the end of my tenure at Citi, I was trying to figure out whether I wanted to pursue an MBA or wanted to hold on to my engineering roots. On one hand, I loved working with datasets and writing codes to come up with analytical insights and on the other hand, gaining a formal degree to prepare for the business side of industrial problems seemed imperative to me,” says Chakraborty. Enter the Business Analytics specialized master’s degree at the Rady School. “When I learned about the Business Analytics Program at the Rady School, I realized that this is exactly the specialization I was looking for,” continues Chakraborty. Not only do specialized master’s degree programs support the acquisition of advanced knowledge, but they often do so in less time and for less money — without the extensive work prerequisite. Another appeal of specialized master’s degree programs? They can be tailored to respond to financial, environmental and other global disruptions,” according to The Globe and Mail. In other words, if you want a degree that will enable you to hit the ground running as an authority in an emerging area, specialized master’s degrees provide exactly that. One other thing to keep in mind about specialized master’s degrees, recently declared by Forbes to be “the hottest new MBA [that’s] not an MBA at all?”, is that they do not preclude the possibility of continuing on to an esteemed MBA degree in the future if and when career advancement or a shift into general management mandates it. 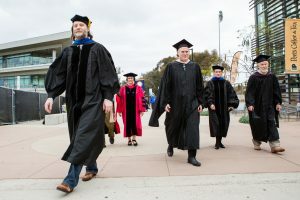 One school with uniquely compelling specialized master’s degree programs is UC San Diego’s Rady. Specifically, its Master of Professional Accountancy (MPAc), STEM-designated Master of Finance (MFin), and Master of Science in Business Analytics (MSBA) programs offer invaluable skills for students aiming for the inside edge. This mindset of customizable curriculum and hands-on industry experience is also being rolled into the Rady School’s most recent specialized program, the Master of Professional Accountancy (MPAc), which is currently enrolling its first cohort. In addition to preparing students for the CPA exam, networking and career services are a key component to helping MPAc grads get a jump on their careers. And while these programs may be shorter than their MBA alternatives, the intensive curricula are designed to pack in a lot, including sought-after practical experience. “Every student gets a chance to work with a company to implement a real project. We get to interact with companies and solve real-world problems. This provides students with the experience and confidence required to navigate through the new field of analytics,” enthuses MSBA alumnus Snehanshu Tiwari. Tiwari is also quick to point out Rady’s extraordinary faculty. “Each and every professor has a very strong research background. Profs [professors] go out of their way to help the student succeed in the program. They are always open to discussions and open to feedback. In fact, “Every staff member in the school wants us to succeed and do well,” Tiwari says. The takeaway for everyone from recent grads to mid-career employees hoping to level-up? A specialized master’s degree may make sense from an advancement perspective. But it is also important to note that all specialized master’s degree programs aren’t created equal. According to Forbes, education consulting firm Eduvantis founder Tim Westerbeck recently cautioned that “among the many useful programs are a few that were ill-conceived, and are less likely to give graduates the outcomes they want.” Because of this, choosing to pursue a specialized master’s degree is only part of the equation. Also critical? Choosing the right school — which brings us back to Rady. If you’re looking not just for a degree, but also for the quality assurance that goes along with a degree from a top-ranked institution, Rady’s specialized master’s programsmay be the perfect fit. It has been 15 years since the Rady School of Management opened its doors to welcome a premier group of students and inspire the next generation of business leaders. Graduates have gone on to lead top companies, and have even launched companies that are leading in their respective industries. Despite less than two decades of operation, the school has reached many remarkable milestones, including earning spots on top ranking lists, launching more than 150 operating student and alumni led startups and graduating students who are now leading global organizations. Since its founding in 2003, the Rady School MBA program has expanded its curriculum to include additional graduate programs designed to meet the needs of the business world. The Master of Finance, Master of Science in Business Analytics and Master of Professional Accountancy programs joined the stellar MBA programs offered at the Rady School to ensure a holistic and comprehensive approach to tackling important issues in all facets of the vast network of global industries. Through the generous support of the business community, the school has grown exponentially in its 15 years, expanding the ranks of its world-renowned faculty, encouraging entrepreneurship and innovative thinking and significantly contributing to our economy. Here’s a look at the top 15 accomplishments the Rady School has achieved in its first 15 years. Over 150 operational startup companies have been started by Rady School alumni and students. These startups have revolutionized industries, led to breakthrough medical devices, drastically enhanced the lives of the visually impaired, improved personal wellness monitoring and have forever transformed our world for the better. 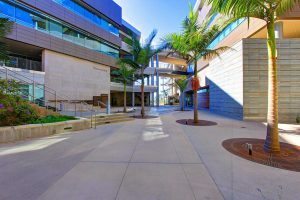 Many of the startups are a product of the Rady School’s unique Lab to Market core sequence and accelerators. The Rady School community is driving local, national and global economic impact. Rady School start-ups have raised over $1.1 billion in the last 15 years. 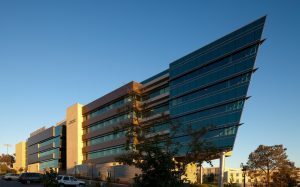 Founded with the intention to provide quality business education to leaders in innovative industries, the Rady School has launched distinguished graduate programs to serve the needs of the business community, including the school’s flagship Full-Time MBA and FlexMBA programs, which are already recognized among the best. In addition to the MBA programs, three specialty graduate programs have been launched: a Master of Finance, a Master of Science in Business Analytics and a Master of Professional Accountancy. The school also has three robust undergraduate programs, a business minor, an accounting minor, and a entrepreneurship and innovation minor, all of which are among the most popular minors on the UC San Diego campus. Rady School faculty are recognized as leaders for the quality of their research. Over the past 15 years, the school’s faculty have been ranked #1 in the U.S. for intellectual capital by Bloomberg Businessweek, 14th globally for faculty research by the Financial Times and 12th globally in student rating of teaching quality by The Economist. Since its inception, the school has received strong support from the business community. The school’s many supporters have been generous with their time and with gifts to support the mission of the school. Notable gifts include: a $100 million gift from Ernest and Evelyn Rady to fund strategic priorities and recruit faculty; a $4 million legacy gift and endowed chair from Nobel Laureate and Rady School Professor Harry Markowitz and his wife Barbara, a $30 million naming gift from Ernest and Evelyn Rady, a $7 million gift from Pauline and Stanley Foster for fellowships and an endowed chair, and a $5 million gift from Carol and William Stensrud for program development and faculty recruitment. The Rady School has established five Centers of Excellence: the California Institute for Innovation and Development (CIID), the Beyster Institute, the Center for Business Analytics, the Center for Social Innovation and Impact, the Institute for Supply Excellence and Innovation, and the U.S. Israel Center on Innovation and Economic Sustainability. Each of the school’s centers focuses on a different topic of importance and provides additional learning opportunities and experience for students. 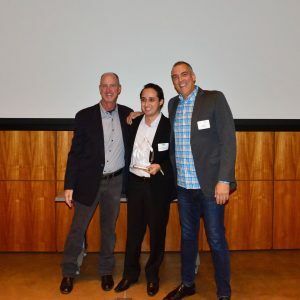 Launched in 2013, the StartR Accelerator at the Rady School is a non-profit program for Rady School students and alumni designed to provide entrepreneurs the tools needed to start and grow their businesses. The StartR program includes workshops, mentoring, advice and access to other resources for early-stage companies. At the conclusion of the program, teams present their pitches at Demo Day, attended by investors, industry experts and the San Diego community. To date, 61 companies have participated in StartR, raising over $41 million in capital. The Rady School’s mystartupXX program is a one-of-its-kind accelerator that was created to increase and encourage diversity in entrepreneurship. Program participants take workshops on launching startups, team building, leadership, market assessment, consumer feedback, creating a value proposition, validating business models, and understanding financing strategies needed to launch the business. Each team works with a mentor and advisors who monitor and encourage their progress. The Rady Venture Fund, a student-assisted venture capital investment fund, was established to support the Rady School’s educational objectives in the areas of entrepreneurship, innovation and transfer of discoveries into the marketplace. Students screen investment leads, perform due diligence, make investment recommendations, and monitor portfolio companies. To date, the fund has invested in five early stage companies. The Rady School’s Center for Executive Development (CED) offers courses and certificates that provide valuable learning experiences to meet the needs of executives and managers in the rapidly changing world of business. Popular CED courses include: leadership, team building, and interpersonal skills. Executive Development faculty are industry experts, renowned researchers, engaging teachers and authors. The Rady School’s D. program began in 2009, attracting top doctoral candidates from around the world. Rady School Ph.D. students have gone on to teach at top schools across the U.S. and the globe. Two state-of-the-art buildings have been constructed to house the Rady School and provide a modern and technology-forward learning space. Otterson Hall opened in 2007 and Wells Fargo Hall Opened in 2012. Wells Fargo Hall has been LEED Gold certified for its sustainable practices. The Rady School earned accreditation from the Association to Advance Collegiate Schools of Business (AACSB International) in 2011. AACSB International is the premier business education accrediting body, with less than five percent of business schools worldwide achieving accreditation. Last week, we shared where Rady School of Management MBA students are interning this summer. The 2018 Master of Science in Business Analytics cohort recently wrapped up their classes and are spending their summers interning at a number of top companies. The 1-year program graduates will be finishing their studies later this summer or in early fall after completing their internships. Here’s where the Master of Science in Business Analytics students can be found this summer. My Name is Kambiz “Kam” Zardouzian and I am privileged to have graduated from Rady’s inaugural MSBA class in 2017, which was my second master’s degree. I have also earned an MBA from the University of San Diego. I’ve been an entrepreneur most of my career having been involved with a number of technology startups, and have also worked for more established companies such as WD-40, Electronic Data Systems and more. I co-founded Analytica Data Company (ADC) with my fellow student Christopher Armstrong while we were students in the MSBA program. We provide scalable data analytics services to progressive organizations across a number of industries including retail, cyber security, marketing, manufacturing, healthcare and bio-environmental sciences. Taking a lesson from Silicon Valley startups such as Apple, Google and Facebook, Chris and I recently moved into a house in North San Diego that serves as our headquarters. We currently have two paying clients and are working hard to scale our bootstrap startup. Having support from everyone at the Rady School of Management means the world to us as we compete in a hyper-growth industry. 1) What impact has Rady had on your career progression? The MSBA program has brought relevancy to my expertise. I believe, wholeheartedly, that my 20-plus years of industry experience is packaged more valuably with my MSBA degree from Rady. There is no door that I can’t open with my new-found knowledge and I owe this fresh start to the MSBA program. 2) Has your Rady MSBA enabled you to change industries or functional areas or even achieve a promotion? I’ve had several job offers but as I mentioned I am more of an entrepreneur. So, while I am repeating the startup organizations skills I already possessed, my MSBA degree has opened a lot more doors for me, helping me engage organizations and individuals whom I may not have access to in the past. It was time for me to reignite my knowledge and reinvent myself by becoming more relevant with today’s business trends and the MSBA program has provided the opportunity for me to engage in discussions to solve impactful challenges facing our world today. 3) What event or realization served as a ‘turning point’ for during your Rady School and/or professional career? Chris and I were waiting on Professor Nijs to start a tutorial session for his customer analytics class about half way through the quarter. We had learned enough about the potentials of data analytics to engage in conversations on where and how we would apply our newfound skills post-graduation. It was during that conversation and the brainstorming of what we could do that Chris and I came to realize that consulting engagements would offer us the best opportunity to sample the world of data analytics from which Analytica Data Company is launched from. 4) Tell us a fun fact about you, or something people may not know about you. I was introduced to the Rady MSBA program by MBA Alumni Rady Chung, with whom I practice Brazilian Jiu Jitsu. During a training session in early 2016, Brady told me about Rady’s new MSBA program and brought me to school to meet Professor Nijs. I sat in on his diet customer analytics class for MBA students (diet because he toned it up for the MSBA cohort!) and I found the subject fascinating. I applied and was accepted from the more than 450 applicants, for which I am truly grateful for because I was on my way to law school and, well, I don’t think the world needs another attorney! Also, Lei Cong and I teamed up with two MBA students (Juliana Brasil and Sabrina Qutb) from Rady to take fourth at last year’s NetImpact business competition. And finally, I am a former collegiate tennis player, accomplished former triathlon and cycling racer, current Brazilian Jiu Jitsu practitioner, as well as standup and regular surfer! 5) What was your favorite class and why? This is a tough question to answer because I appreciated all the classes because they built off one another. However, if I had to choose one, it would be Professor Balac’s Big Data class followed closely by Professor Coggeshall’s Fraud Analytics class. I choose these two classes for their practical application as I am currently using some of the code we wrote for class assignments in real life. 6) What is the most memorable moment from your Rady School experience? The most memorable moment was when the bobble head doll of Professors Nijs and August that I had made arrived 3 months before graduation. I waited patiently during that time to finally present them with their dolls on behalf of our cohort. That and our Nice Decision Tree T-shirts that we had made after the first quarter. 7) How have you applied your studies to your career? Absolutely … without question! Chris and I are working with a couple of clients for whom we leveraged some of the code we developed during the program. I can’t stress enough for students to keep all their work in a well-organized fashion for this very reason. This becomes even more important as students graduate and are removed from the daily opportunity to practice their knowledge — use it or lose it becomes relevant quickly. Hesham Zohair is a student in the Rady School of Management’s Master of Science in Business Analytics program. 1) Why did you choose to pursue a Master of Science in Business Analytics? I have been working in marketing for five years, largely in promotion development and analysis. I wanted to take my career to a new level by going deeper into understanding consumer behavior analytics. 2) Why did you choose the Rady School of Management? Rady is a well-established school, and one of the early schools that started a Business Analytics program. Positive feedback from students in the same program also had a strong influence on my decision to apply here. 3) What do you feel makes Rady unique? How do you benefit from these aspects? From the very first day of the orientation, the enthusiasm was obvious from faculty, the admissions team, the career advisory office and student services – not to mention my fellow students in the class and the ones in other programs I interacted with. That alone makes UC San Diego, and the Rady School in particular, a very unique place. 4) What classes are you looking forward to taking this year? So far, the class I look forward to the most is pricing and consumer behavior analytics. 5) How has your perspective on your career or your life changed since you came to Rady? At first I was thinking, “I am going to study and see how it goes afterwards, fingers crossed!” However, the energy from the Career Connections department gave it quite the lift. 6) What are your goals after graduation? I have considered two paths. The first is to try to land a job in a related field — hopefully in the San Diego area. The second to return to Egypt and establish a consultancy that focuses on marketing analytics. 7) What advice do you have for prospective students? Again, I thought it would be not so different from my graduate studies. Fortunately, I was wrong — and the program started at full force. Dedication is key here, so work hard and stay on top of your work. 8) Anything else you would like to share? A final word about Rady and UC San Diego. Diversity is a very important pillar here. I had not realized it until I saw it for myself. To me that makes things even more interesting — to study and work with people from very different backgrounds and cultures, understand the differences and broaden my knowledge. Data matters. “Not everything that can be counted counts, and not everything that counts can be counted,” attributed to Albert Einstein, explains the purpose of business analytics perfectly. We live in an age of bigger and bigger data—and businesses need ways to sift through it all, to figure out which combinations of data count—and which ones don’t. The success of business in today’s global economy depends on it. The Rady School of Management at UC San Diego offers a forward-thinking Master of Science in Business Analytics that teaches its students how to grapple with the reality of big data using business analytics. Just how big is big data? Really big, and getting bigger all the time. The EMC Digital Universe Study predicts that by the year 2020, 1.7 megabytes of new data will be created every second for every human on the planet. What does that mean? There will be 44 trillion gigabytes (44 zettabytes) of data in the digital universe. Where does the data come from? Just about everywhere—1.2 trillion searches per year on Google alone, over 1 billion people using Facebook every day, trillions of photos taken, and billions shared. By 2020, there will be over 6.1 billion smartphone users, and at least 1/3 of all data will be transmitted through the cloud. We haven’t even talked about online banking, business, movies, television, music, and games. The need for effective, efficient business analytics is stronger than ever. Businesses need to know what they want to learn from business analytics—and then how they’re going to use that data to inform their decisions across the board. Businesses need to be able to determine what data they need and then identify the data sources for gleaning that information. The final piece? Distilling that information into actionable insights using the tools of business analytics. Once businesses have a plan for capturing the desired data, organizing it, and analyzing it, they are in a position to develop plans to stay competitive. According to a McKinsey Global Report, the US alone has a shortage of about 190,000 data scientists and 1.5 million business analysts. Globally and in the US, companies need experts in business analytics. High demand means higher salaries, and a variety of options. Graduates in Business Analytics work at large companies, start their own businesses, work in banks or FinTech, web-based businesses, retail and food companies, media companies, and marketing companies. The Rady School’s new Master of Science in Business Analytics (MSBA) puts students at the forefront of the field. The program focuses on the problems big data poses to businesses—and how to solve them using models, statistics, and machine learning – in classes such as customer analytics, business intelligence, and supply chain analytics. The school’s bottom line? To graduate students who know how to use analytics to make a positive impact on business performance—and sustain it. First steps for prospective students? Those interested in studying in this program should have an undergraduate degree in a “quantitative discipline,” says Nijs, like “mathematics, statistics, economics, or physics.” They should also have some programming experience. As data continues to get bigger, the global business world will rely more heavily on business analytics to succeed. Want to make a difference in the business world? Earn your MSBA in the field that businesses will indisputably need for success and sustainability. This article originally appeared on Master Studies. Vidya Chokalingam is a student in the Rady School of Management’s Master of Science in Business Analytics program. We asked her to share her experience on why she chose to come to the Rady School to pursue an MSBA degree. 1) Why did you choose to pursue an MSBA? I had been working as a data analyst previously for two years and I thought it was time to get some formal education in the field. I chose a business analytics concentration instead of a data science concentration because it would focus more on the stats and business part of analytics rather than technology. This essentially means that after graduation I would be focusing on actionable insights for businesses. 2) Why did you choose the Rady School? One of the main reasons I chose Rady is its exceptional faculty. I saw a webinar in which there was a mention of Professor Nijs’ business analytics tool that he has developed on his own. How cool is that? Rady being a part of the UC system and UC San Diego being widely known was also a definite plus. The Rady School has a reputation for innovation and entrepreneurship. Down the line I see myself getting involved in a start-up or starting up my own company. I felt that Rady would better prepare me for where I want myself to be in a few years. After I got admitted and before I accepted, I checked out the website and was really interested in some of Rady’s programs – mystartupxx, StartR Accelerator, Center for Business Analytics, etc. Again the focus on entrepreneurship really caught my attention. 4) What classes are you looking forward to this year? Business Analytics with Professor Terry August and Digital Media Analytics and Customer Analytics with Professor Nijs. 5) What are your goals after graduation? Immediately after I graduate, I am going to join the tech industry and try to use the skills I learn in a large company. Down the line, I plan to join the startup scene. 6) What advice do you have for prospective students? My advice would be the MSBA program is great, but try to figure out if you have the aptitude for it. This course has programming, stats, and business all put together. For example, if you do not want to code and get your hands dirty, it would be really difficult to survive here. 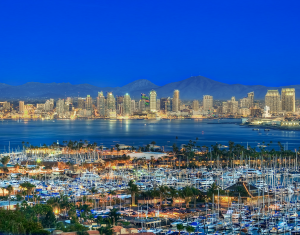 Also, San Diego is just so beautiful and pleasant. There is a Google office coming here shortly. You might want to consider those things as well before you apply.